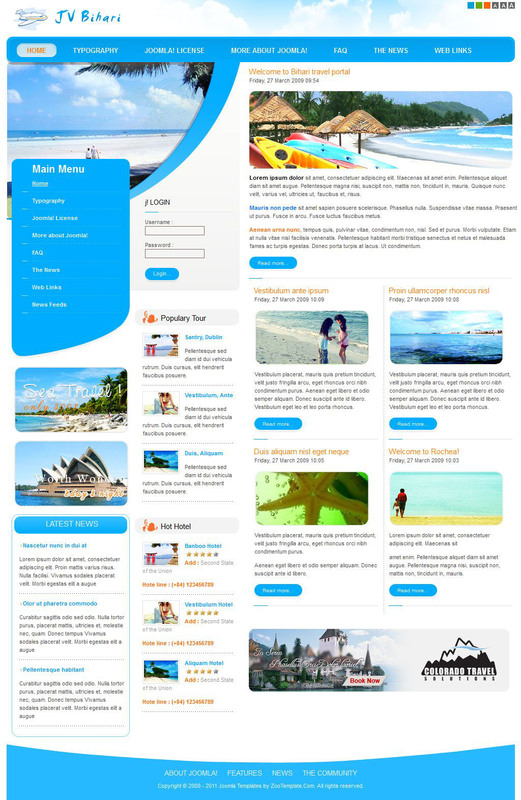 JV Bihari - elegant template theme from the popular tourist development team of JoomVision. Stylish design layout made in bright colors and comes in 3 color schemes. Additional extensions included in the installation package, provide flexible and optimal placement of the most important information on the site. This template is perfectly optimized, has a fast download speeds and is compatible with all browsers. JV Bihari - the ideal solution for creating websites of travel agencies.